To help you feel at home, we welcome you to enjoy a hot beverage from our Keurig® machine or some cold water. All new patient paperwork can be done online. 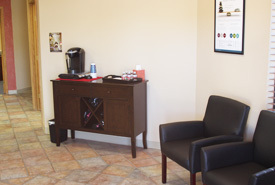 This way, when you come in we can begin your consultation right away. 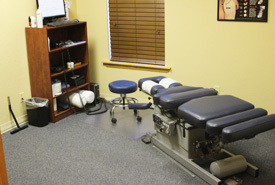 The Doctor will talk with you about what brought you into the office and what you expect from chiropractic care. 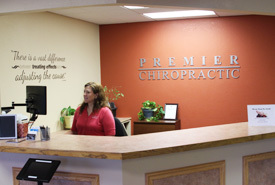 If you feel like the care provided by Premier Chiropractic would be a good fit for you then you will go on to the examination. The first visit lasts approximately 45 minutes to an hour. After the report of findings you will have your first adjustment. Your Doctor will present you with a report of findings: go over the scans with you and what the orthopedic and neurological exams told them. They will give you their best recommendations for care and explain why they are suggesting so. We provides our patients with education opportunities by offering workshops in the office. We also provide videos on this website.